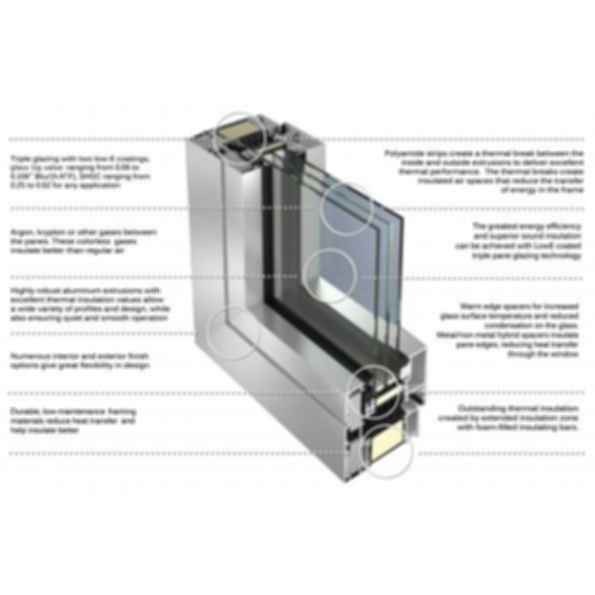 Intus offers a wide variety of aluminum windows and doors to suit anyone's desired energy and design goals. Intus utilizes Schuco window and door profiles of which there are numerous designs to choose from. The benefits of aluminum profiles are numerous. Aluminum is a 100% recyclable material and use of aluminum windows and doors allows for earning LEED points. Various profile options including both narrow and wide profiles are available to meet ones architectural design goals. Aluminum windows and doors offer a high degree of strength, security, energy efficiency, minimal maintenance, and a very long product life. 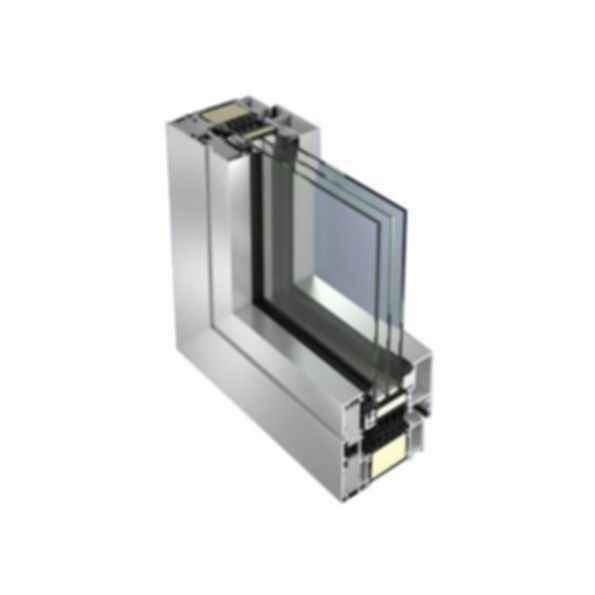 The aluminum window and door lines are thermally broken by the use of specially designed and located insulating foam thermal breaks. Passive House Certified. Highest level of thermal insulation with basic depth of 4.41"